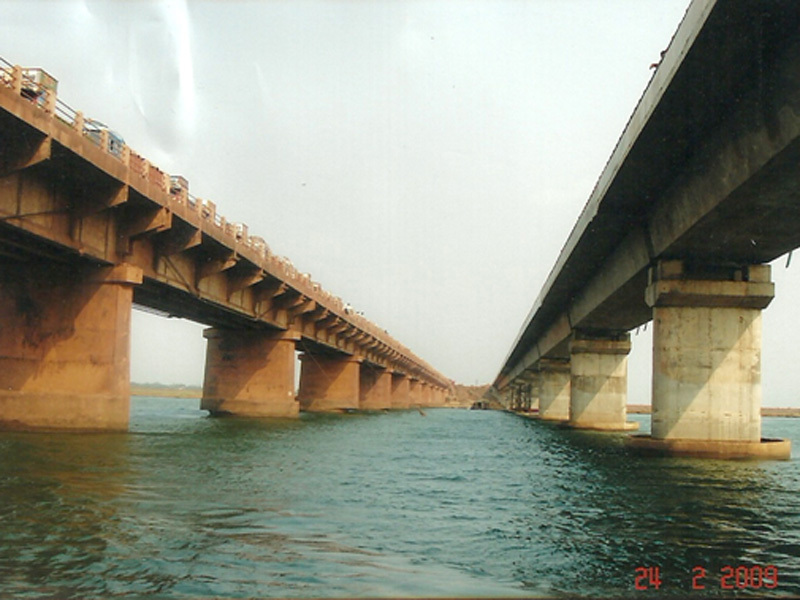 Details:	Mahanadi Bridge is situated on NH-5A between Chandikhol and Paradip in Orissa State. 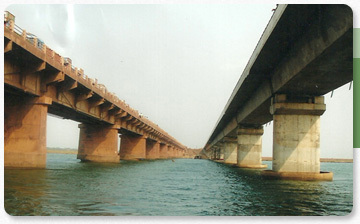 The bridge was constructed in mid sixties as an access to Paradip Port which was being developed at that time. It is a major High Level Bridge constructed over the creek with depth of water varying from 5 M. to 15 M. All 19 spans of bridge were simply supported and comprising of 4 ‘I’ girders with 48 M. The rehabilitation work was supervised by M/s.Lea Associates South Asia Pvt. Ltd. – Project Consultant and NHAI, in addition to HCC Limited. Challenge: This stretch of road was taken up for 4 laning by NHAI. The work of rehabilitation and strengthening of superstructure of this bridge was a highly specialized job and was therefore entrusted to FPCC by HCC Limited at the recommendation of NHAI. Solution:All spans were strengthened by providing two external cables of 6T15 size for each girder. The cross prestressing was done by using 2 mono-strand Freyssinet cables of 1T15 system. The work has been completed and the bridge has been re-opened for traffic in November 2010.